Which bracket would I require if i have a high top van? The brackets which are supplied with the awnings as standard are designed to fit onto a flat side which high top vehicles would have. Do you sell an awning bracket for a Reimo multi rail? We supply a Reimo awning bracket under product code 30682 (Awning Bracket VW T5 with Multirail/Brandup Lift up Roof). Which side of the vehicle do the awnings attach? If it’s a UK vehicle this should be attached to the passenger side. 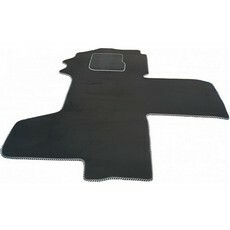 What is the difference between Sportsflex and Sports Velour carpets? Sports Flex is a high quality flexible lining carpet; ideal for lining walls in campervans, horseboxes, Motor homes & other leisure vehicles. Sports Velour is a high quality with latex backing; ideal for straight walls & panels. This carpet doesn’t have the stretch of the flex. 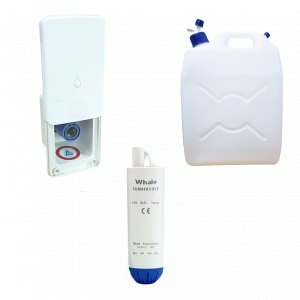 Are the Trafic products compatible with Vivaro vehicles? The Trafic and Vivaro are based on the same vehicle - so most products (based on body shape) would be compatible. Are the Ducato products compatible with other vehicles? The Ducato, Relay and Boxer are all based on the same vehicle, so products designed to be compatible with the standard bodywork should be compatible across these vehicles. What is the length of the rail for the ready made curtain for the side window 60203? The length of the rail is 1.2m long, but please note this is a straight track & needs pre-forming. Will the Mercedes Sprinter curtains fit any model Sprinter? All the Mercedes Sprinter curtains we supply are for models 2006 onwards only. 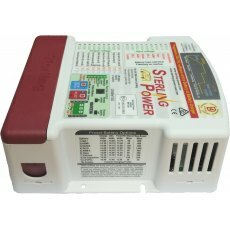 How do i know whether i need 8 amp cable or 17 amp cable? We supply two different types of electrical cable. 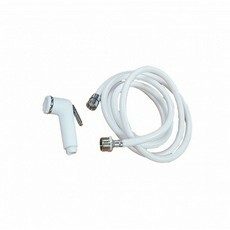 You would use 8amp cable for lighting & 17amp for Fridges & Ovens. Does the Bonus Charger run on the vehicle battery or the leisure battery? 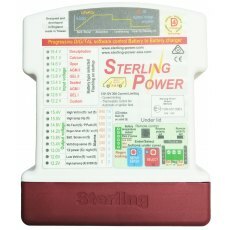 The 12V plugs into the mains and that can be connected up to either the van’s battery or the leisure battery. Once you complete the web form, we will review the application (typically within one hour) and notify you via email when your acount has been approved. Grassroutes Leisure works with the market leading maufacturers in the leisure vehicle products sector. We select the very best premium products from globally respected brands. A large number of these products are manufactured in Europe and the UK. What is the difference between Propex HS2000 and HS2000E? The Propex HS2000 is just run off the 12v/24v but the HS2000E is Electric or Gas. Does the Propex 2000E come with everything i need to fit it? What thickness of wood do the 15 mm and 22 mm push buttons fit? 15/22 mm push buttons fit to wood thicknesses between 12-19 mm. Do the thermal blinds come with suction cups? Yes! 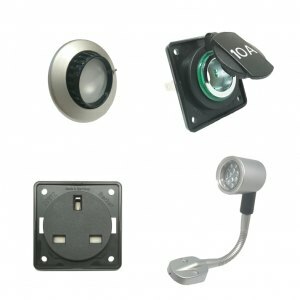 Our range of thermal blinds do come with suction cups included. The taps we would recommend to use would be the Comet florenza Fold down tap. We offer a few options for the taps, 70004c (cold only), 70004cpk (cold only packed) & 70004pk (Hot & Cold). Do the Comet Florenza taps come with a microswitch? All of the Comet Florenza taps come fitted with a microswitch. Are all SMEV sinks supplied with wastes and taps? 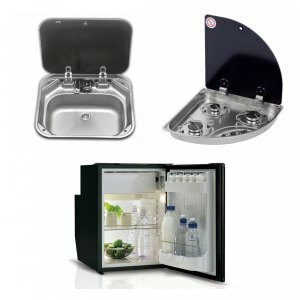 Smev sinks are supplied with wastes but not the taps. 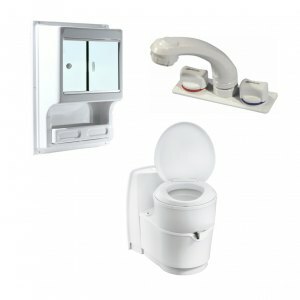 Which waste pipe do i need for sink wastes? The pipe required for the sink wastes would be the 20.5mm convoluted hose (product code 30177) which is sold per the roll or per metre. 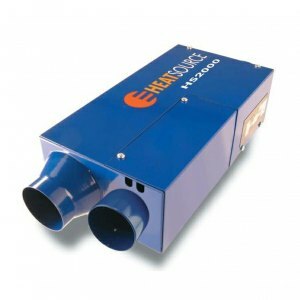 What gas is required for SMEV and CAN burners? 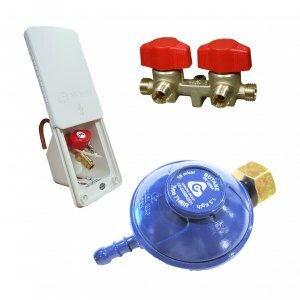 Both Smev & Can units can be run off Butane, Propane or Camping gas. 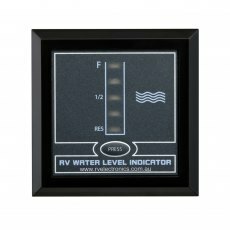 Can you connect a 12v fridge to a PMS? No- the PMS is not powerful enough to run a fridge correctly. The fridge needs to be connected to the leisure battery. Both sized lockers will need venting to let any excess gas out. Are the Sportscraft seat swivels safety tested? All the Sportscraft seat swivels are TUV approved & crash tested. What size is our trim? All the trims we supply are 15mm - to be used with the Vohringer board. When the trim has been left in the cold for too long it can become difficult to use and will snap and chip easily. If customers have this issue, the best advice is to store it somewhere warm for a while (e.g. an airing cupboard) and then try using it again later on. Things to consider: Do not clean/wipe down the trim with a thinner or acetone product as this could lead to the colouring on the trim coming off. What size are the Vihringer sheets? The Vohringer sheets are quoted to be 8ft x 4ft but we supply them slightly bigger (8ft 2) in case of any damage to the ends. All the information for Vohringer can be found in our catalogue. Is the Vohringer board waterproof? If the ply is sealed correctly, then it will be waterproof and suitable for using in a wet room or bathroom. What is required for cutting Vohringer board? For cutting the board you require product code 60021 (trend cutter 5 mm). For routing out the slot for trim your require 60024 (arbor), 60025 (bearing) & 60023 (2mm slotter). Is Vohringer board veneered on both sides? Only the 15mm is veneered both sides & the 3mm is veneered only on one side. Is there a minimum order for Vohringer boards for delivery? For 15mm Vohringer boards we have a minimum quantity of three sheets. If the customer only wants one or two boards we can offer packer boards, which are a plain 15mm sheet of ply. If a customer only wants 3mm boards they would be required to have two packer boards or two sheets of 15mm as the 3mm easily damages on its own. We Allow customers to collect sheets from us & we have no minimum sheet quantity or the 15mm & 3mm but please note that we wouldn’t be liable if these sheets get damaged in their own transportation. For collections, we would require the customer to call & advise they are looking to collect in advance of arriving. Do i have to cut Vohringer board with a router cutter? To cut the Vohringer board you can either cut the board with a router cutter or a circular saw. If you choose to cut the board with a router cutter you would be required to use a template with this. If the customer chooses to use a circular saw we would recommend they use a fine cutting blade for a better cutting finish. It can be confusing when trying to decide whether they need the left hand or right hand toilet and many are unsure how to tell the difference. The logic is that if the waste is on the left then they need the left hand model. And if the waste is on the right then they need the right hand model. Also another way of telling is by sitting on the toilet & seeing which side the waste is removed from & that will determine whether it’s left or right. Do you need to use a micro switched tap for the Dometic pressure pumps 12v/24v? The pressure flow pumps are fitted with pressure switch so will automatically cut out when the pressure is reached. What is the difference between 20.5 mm and 40 mm convoluted hose? 20.5mm convoluted hose is used for kitchen sink wastes & 40mm hose would be used for the wastes on a shower tray. Does the Fiamma Aqua 8 have a micro switch built into it? 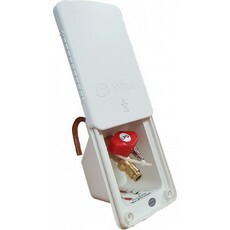 The Fiamma Aqua 8 do have a built in micro switch so can be used with any taps which don’t have these build into them. Will the Dometic Power Pump shut off when the maximum pressure is reached? These pumps are fitted with a pressure switch so will automatically cut out when the pressure has been reached.